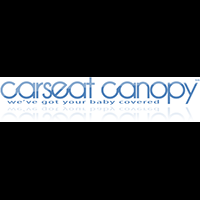 ● Most discount coupon codes published by Carseat Canopy offer 25-40% savings on baby car seat covers. Dollar saving coupons are also released occasionally. ● Shoppers should check out The Whole Caboodle for discounted 5-piece complete matching sets of interior and exterior infant car seat covers. ● Customers can also take advantage of low-price custom embroidery for a limited time only. ● Carseat Canopy has an “All Sale Final” policy and only allows returns on damaged products. No print replacements or exchanges are honored because of the nature of the product. Car Seat Canopy is a one-stop shop solution for parents that are looking to purchase car seats, strollers, and car seat/stroller accessories at deeply discounted prices. Many of the car seat options that this retailer provides are manufactured by some of the biggest names in the business, and there are even officially licensed car seat options that help represent blockbuster movies, comic books, TV shows, and favorite sports teams. Visitors to the site will also have the opportunity to purchase car seat and car seat options at wholesale prices without having to order bulk quantities, though they'll need to visit the special section of the site to take advantage of these kinds of deals. For most up to date offers check out Carseat Canopy on Facebook and Twitter or contact Carseat Canopy Support for any questions.